Here at Project Sweet Stuff, we appreciate a good coffee and luckily for us, we're surrounded by some of Sydney's best coffee houses. So while we might not be a run of the mill fashion blog, I couldn't let the chance go by without sharing a little about happens when Australian fashion meets Vittoria Coffee. Yesterday marked the start of the nation's biggest week in fashion, Mercedes-Benz Fashion Week Australia currently held at Sydney's Carriageworks. Just like last year, I'll be in and out of shows all week and I'll more than likely bump my daily limit of 1 coffee to 2... mainly because of the aroma of freshly ground beans that lures me to the nearest coffee cart. 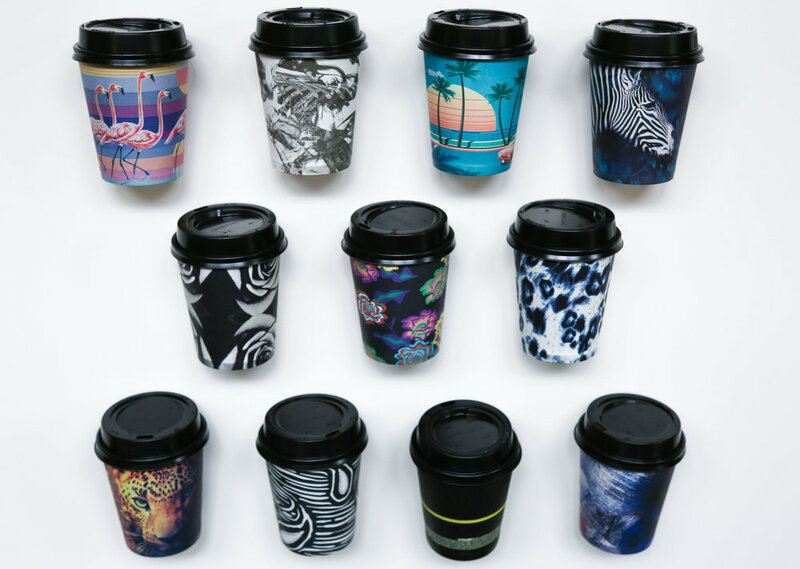 Vittoria Coffee have announced their continued support of Australian fashion by collaborating with eight of Australia’s most celebrated designers to introduce a limited edition collection of take away coffee cups. The series includes prints from Australian designers; Bec & Bridge, Camilla & Marc, Dion Lee, Ellery, Josh Goot, Romance Was Born, Toni Maticevski and We Are Handsome. The take away cups feature everything from California inspired sunsets, safari escapades to digital florals and graphic black and white prints. “The connection between fashion and coffee culture is something that seems to resonate with people as well as being naturally understood,” says Rolando Schirato, GM of Marketing and Sales, Vittoria Coffee. With 11 cup designs in total, they'll be floating out of every Vittoria Cafe throughout Fashion Week and beyond - you won't be able to miss them.